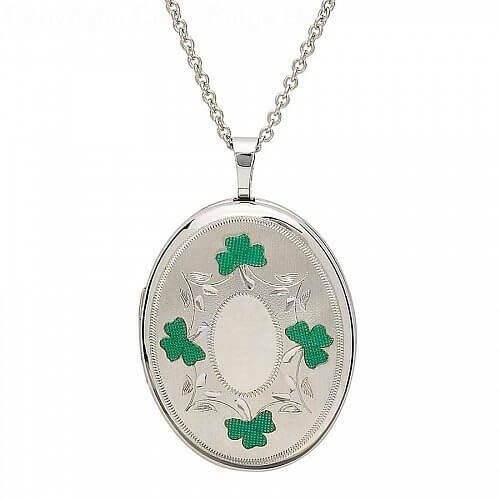 The oval shaped shamrock locket is made from Sterling silver. The front cover has four glistening green shamrocks and light Celtic designs. 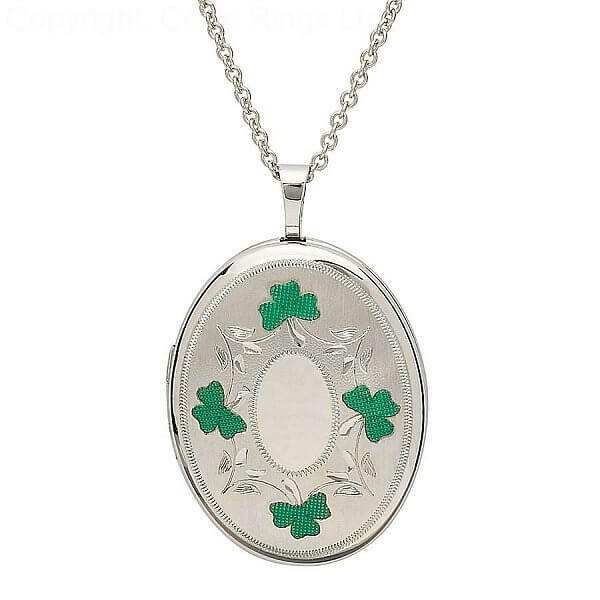 The locket can store two pictures which makes it the perfect sweetheart gift. Handmade in Ireland and delivered in a luxurious presentation box.